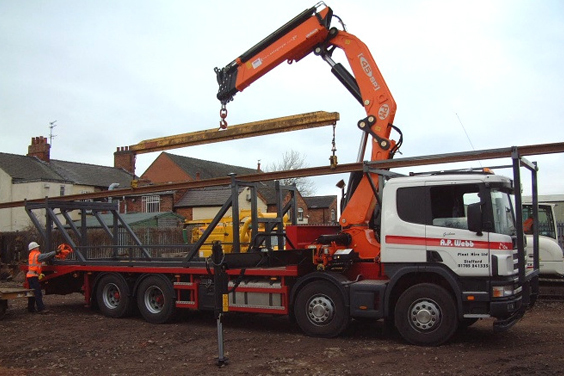 8 Wheel Beavertail Crane Lorry and Rail Frame « A.P. Webb Plant Hire Ltd. Capable of moving up to 60 ft switches and rails. When moving rail on rigid vehicles you can gain easier access than with articulated vehicles. Fitted with 45 ton / metre crane with 12 metre outreach.